The combination of inflation, traffic congestion and pollution essentially makes up the grim reality of our current transportation affairs. It’s safe to assume that most of us are already frustrated and tired of dealing with said motoring troubles. But then, a lot of us seem to be just passive and whiny rather than proactive in helping improve the situation. Thankfully, not everyone is content to just keep swallowing this daily bitter pill. 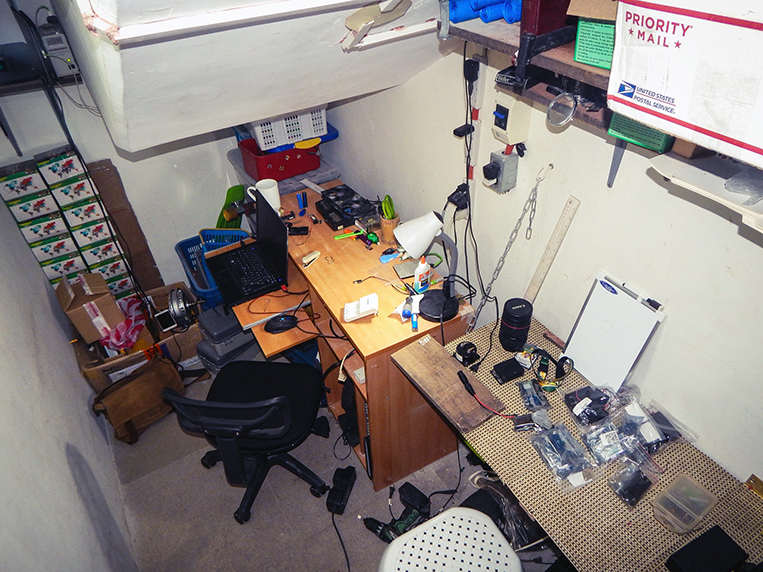 A young man named Alexander Matias is bent on being part of the solution as he works within the confines of his little workshop. 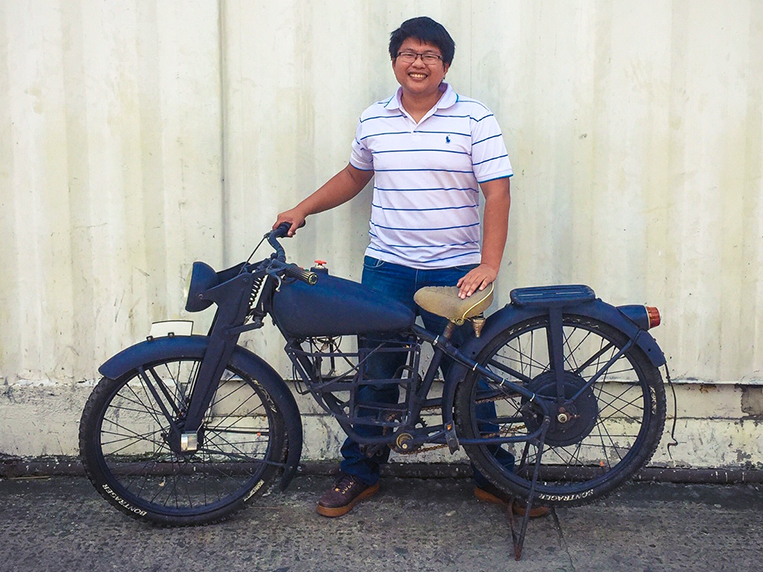 You may have read our story on Jerry Cheng, an entrepreneur and aviation instructor who got fed up being stuck in gridlock commuting from home to work/business (and vice versa) and eventually put together a folding bike that runs on electricity to help alleviate his traffic woes. Turns out Alexander was the brilliant mind behind that build, having served Jerry as a customer (in spite of the latter suggesting to us that the whole thing had been his idea). Now that we’ve set the record straight, let’s focus on Alexander. 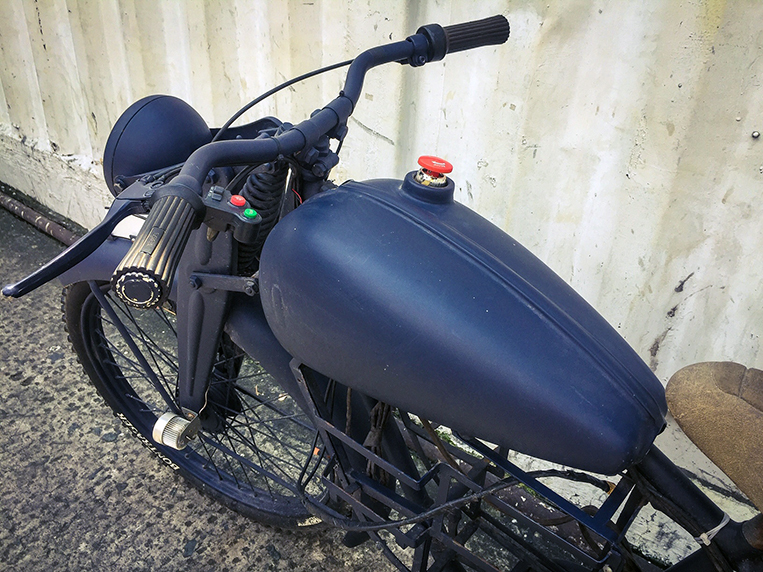 The 24-year-old is on the verge of completing some really interesting e-bike projects, including a model built on an original vintage German moped frame. 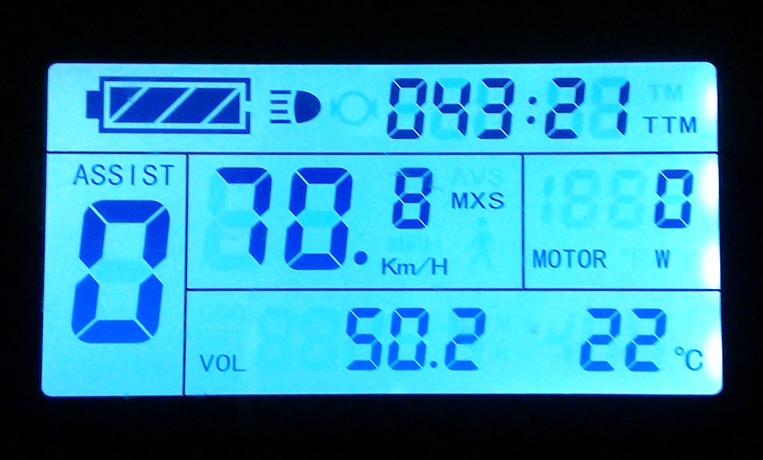 Powered by a 3kW electric motor, this bike is capable of reaching speeds of up to 80km/h and covering a range of 100km. Alexander described it as a blast from the past going into the future. 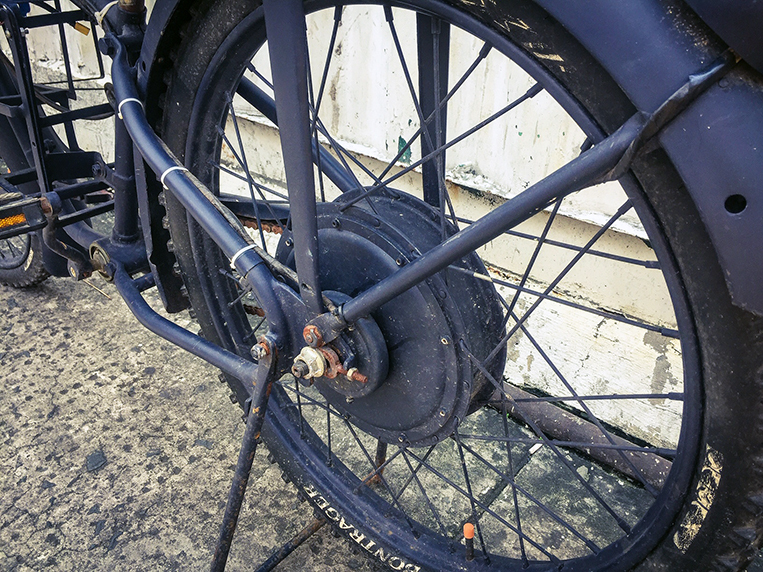 Having started working on e-bikes almost two years ago, this cycling enthusiast dreams of a future that is free of pollution and traffic congestion. To this end, his electric bicycles are designed to emit zero toxic gases, occupy minimal space, operate silently and be a cinch to park or stow. In terms of performance, these bicycles get up to speed mighty quick, being propelled by torquey electric motors. As backup, you can always switch to leg power and pedal those love handles away. 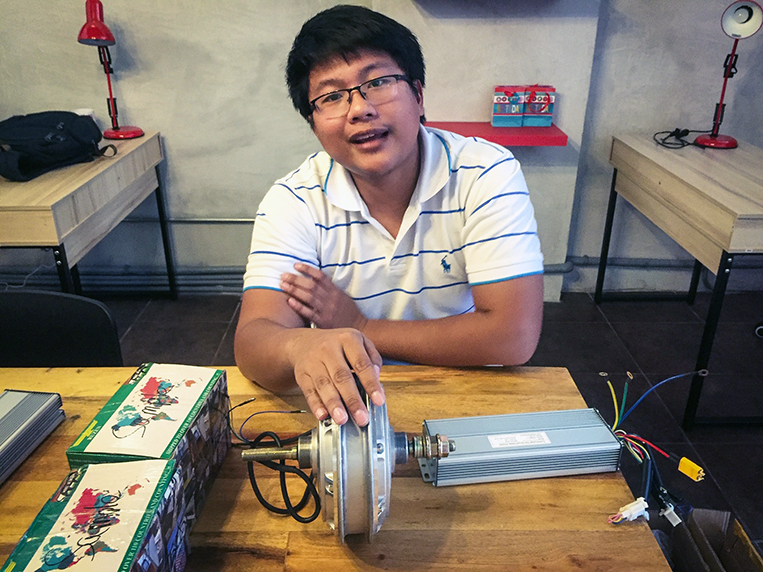 One recent Sunday morning, Alexander traveled all the way from his Bulacan residence to visit our office and show us a sample of his projects. 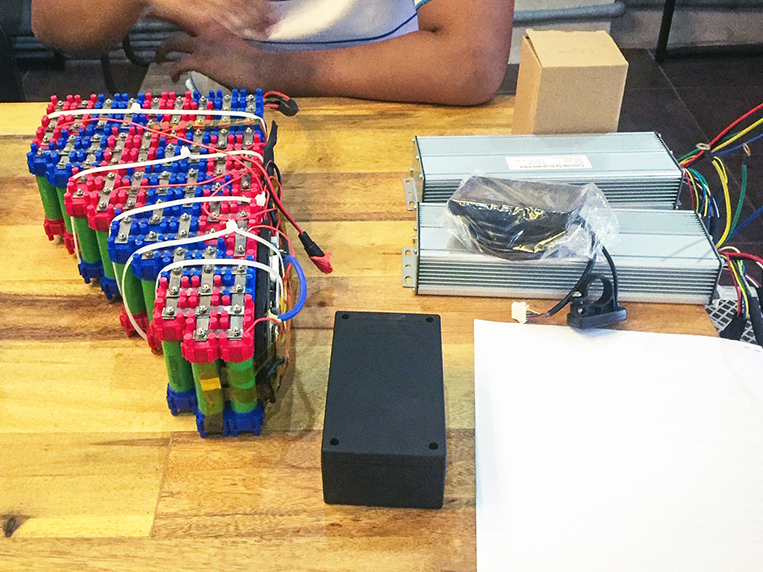 The components he uses on a typical e-bike are lithium-ion batteries (similar to what’s used on modern EVs), hub or chain-driven motor, brake sensors, controller interface, pedal-assist sensors and power-output controller. 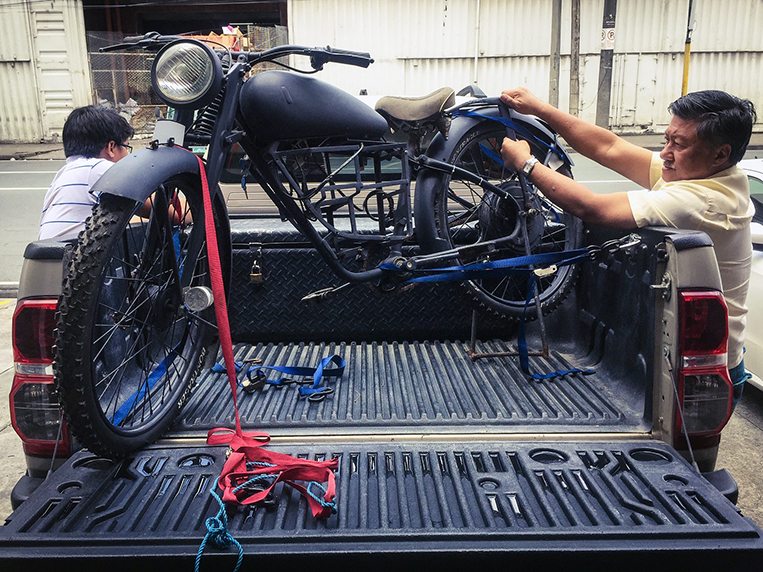 An e-bike he just completed cost around P47,000 on top of the price of the stock bicycle. In terms of performance, this e-bike has a range of approximately 40km and a top speed of 50km/h, pushed by its 750W Bafang geared motor. 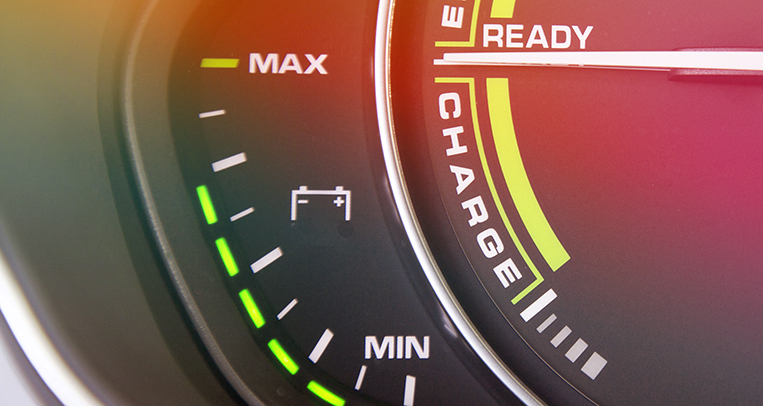 It is Alexander’s aim to eventually bring pricing down, but that will depend on the demand. Alexander’s enthusiasm is admirably tempered by his modesty. 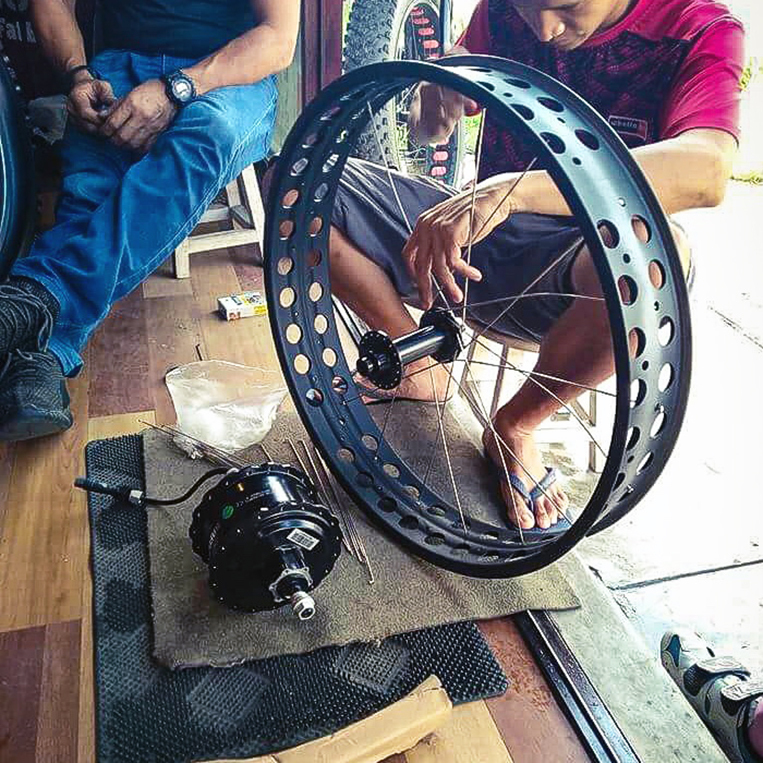 He credits three groups he is currently associated with for technical and parts support: eBikers Philippines, Electric Cyclist Philippines and Endless Sphere. Basically, his projects are a combination of technical creativity, resourcefulness and collaboration. The outcome is something that will hopefully inspire everyone to seriously look into alternative means of cleaner and more intelligent mobility to help fix the pressing transport issues of our time. 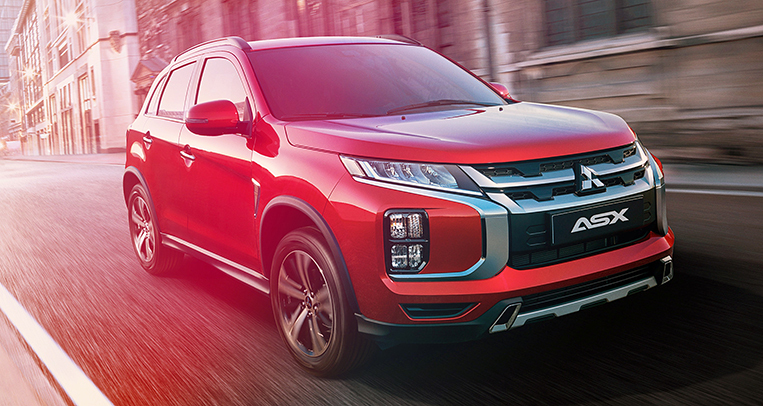 Even Alexander’s father, Allan, who’s a retired electrical engineer himself, saw potential in his son’s vision, supporting him like any proud parent would. As a matter of fact, Alexander’s aspirations aren’t limited to his workshop as he is now taking up a business management course in hopes of establishing his own brand someday. At the moment, Alexander may not be developing anything we’d exactly call a breakthrough, given that the technology has been in existence for some time now. 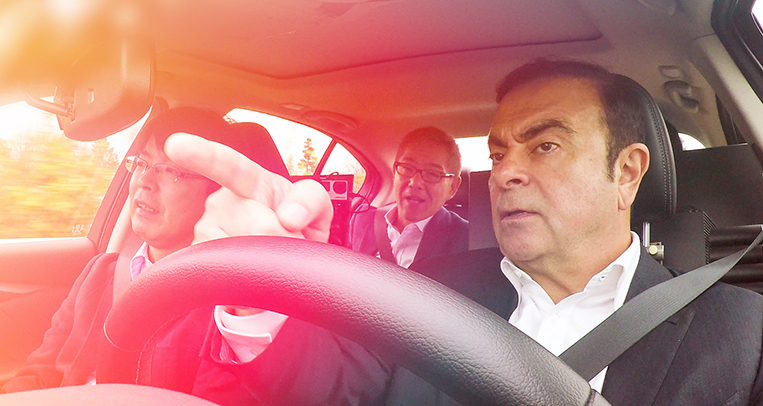 However, his passion just may well be the spark we need to ignite a mobility revolution. For all we know, with all the tinkering that Alexander does, he may even stumble upon something new along the way. We have a feeling he’s on to something here. 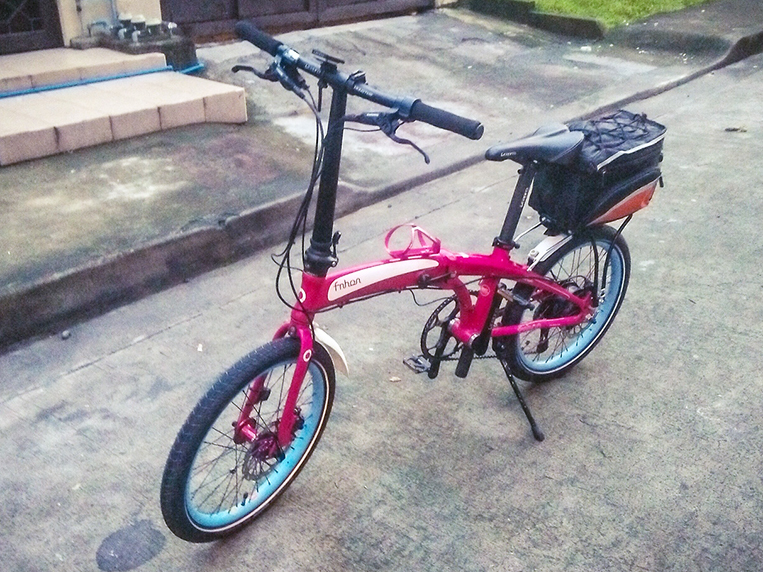 If you’re interested in Alexander Matias’s e-bikes, you may contact him at [email protected]. Is it now time to pay people not to drive their cars? Manskee is a music-loving petrolhead who specializes in car care. 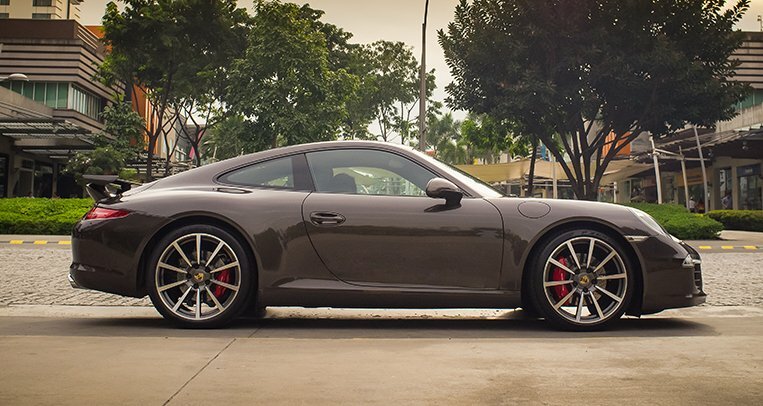 He finds peace in long drives to and from his home in La Union. 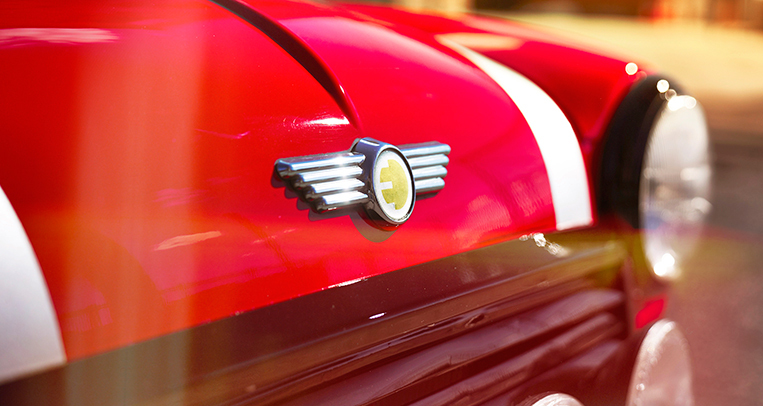 What if the classic Mini had electric propulsion?